The gorgeous song is just one of several collaborations from the upcoming film Dumplin', for which Parton created the soundtrack. Icon Dolly Parton has partnered with out musician and producer Sia for a gorgeous rendition of “Here I Am,” which originally appeared on Parton’s 1971 Coat of Many Colors album. The gospel-tinged track “Here I Am” appears in the film Dumplin’, for which Parton created the soundtrack. The comedic film, based on the book by Julie Murphy, tells the story of Willowdean, the plus-sized daughter of a former beauty pageant queen played by Jennifer Aniston. The Friends alumna even sings with Parton on one of the tracks. Other collaborations on the soundtrack, out November 30, include Parton performing with Miranda Lambert, Mavis Staples, Elle King, Alison Krauss, and Rhonda Vincent. 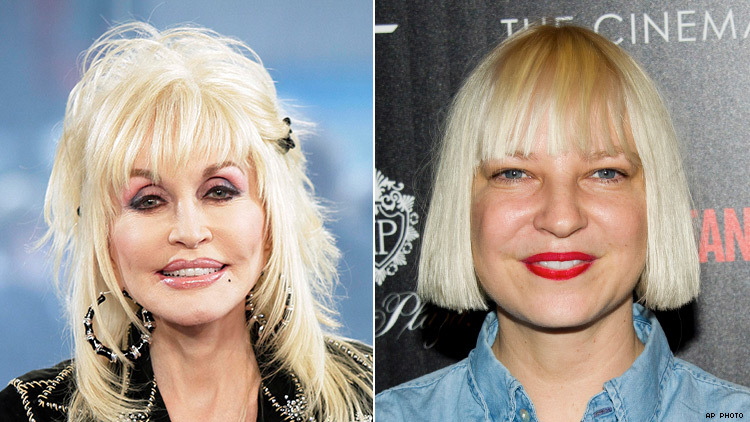 Listen to Parton and Sia's powerhouse rendition of "Here I Am" below.